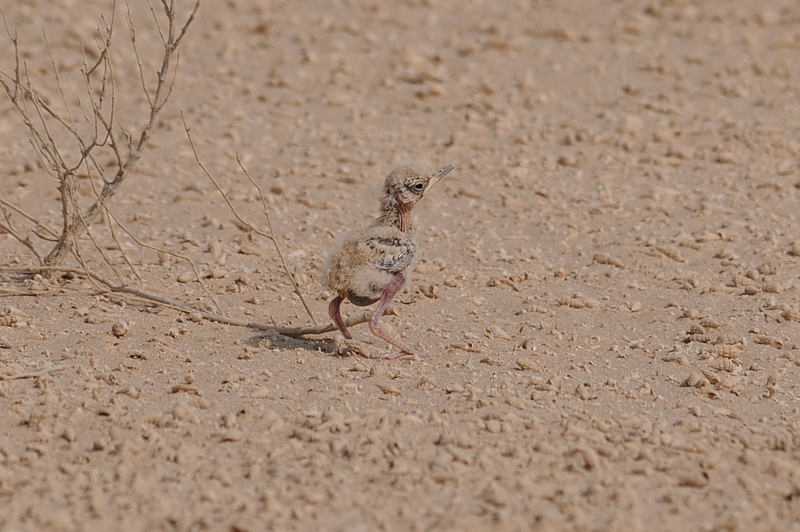 Whilst out doing survey work just north of Jubail we found a couple of young Greater Hoopoe-Lark. 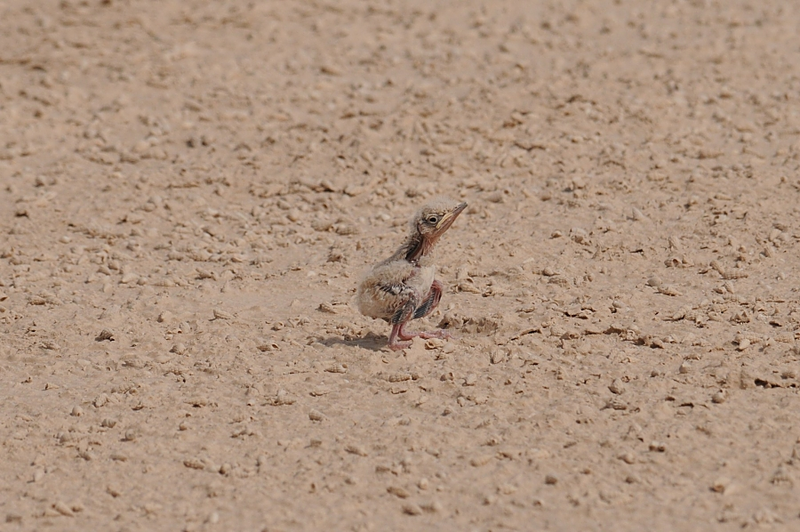 The first bird was just out of the nest and had a parent nearby and the second bird at a different location was much more well grown and able to fly. 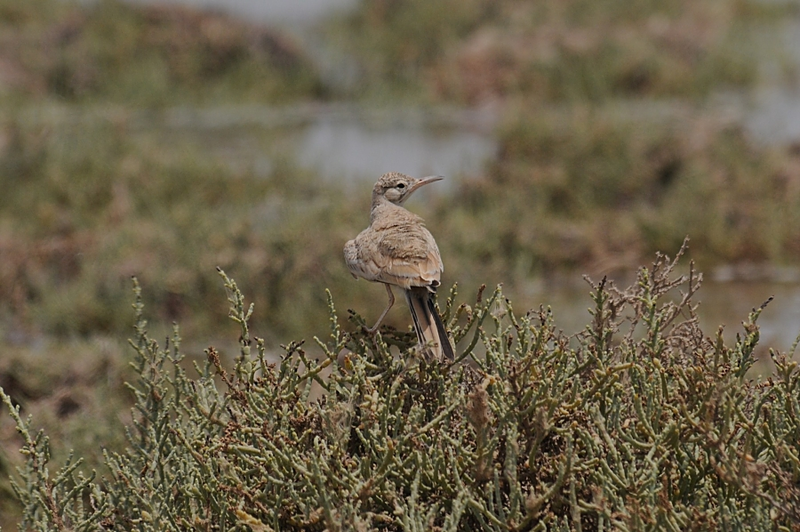 These birds were both located near to the sea which is unusual for lark species but not so for Greater Hoopoe-Lark which is a resident breeding species in the eastern province of Saudi Arabia. This indicates the species probably has more than one brood a season and the very young age of the first bird shows that young are in the nest in late June.